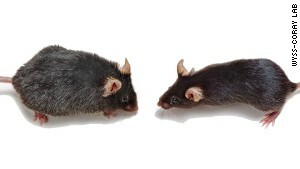 An old mouse, left, may benefit from the blood of a young mouse, right. In a group of studies published May 4, 2014 in the journals Science and Nature Medicine, researchers say old mice who were infused with the blood of spry younger mice showed clear improvements in memory, sensory function, strength and endurance. Led by Stanford School of Medicine in California, the study introduces the idea that age-related decline is reversible, pointing the way to potential new treatments for Alzheimer’s disease and other dementias. Researchers say a specific protein, found in the blood of mice and humans, appears to be at the root of this rejuvenation. They say they hope to test the protein’s effect on humans in clinical trials in the next few years. In case you missed them, the Osher Lifelong Learning Institute @ UCLA will show the three documentaries on the works of Michelangelo, Picasso and van Gogh again this March. The speaker, Perry Wolff, is the producer, writer and narrator of each documentary to be presented to OLLI members this December. Mr. Wolff has won 15 Emmy awards, 14 Peabody Awards, numerous Writers Guild, Du Pont and Polk awards and a Motion Picture Academy nomination. March 6: Michelangelo Restored 1:30-3pm, Reg# 246296: For 13 years, camera crews followed the painstaking restoration of the Sistine Chapel and the cleaning of Michelangelo’s frescoes. Michelangelo, Restored documents this amazing rebirth, as well as the complexity of the great master’s extraordinary accomplishment. This one-hour award-winning documentary will be followed by Q &A. Suggested book: Michelangelo and the Ceiling, Ross King. March 13: Picasso Paints Picasso 1:30-3pm, Reg# 246297: Pablo Picasso is the most famous painter of the 20th Century. In his lifetime he created twenty thousand works of art. His favorite subject was himself, often disguised, and almost everything he painted was a clue to his life. The puzzle of Picasso is that he drew a diary of his emotions every day. Every canvas was an entry into his personal Spanish journal. This one hour documentary, which won Mr. Wolff a third Writer’s Guild award, will be followed by Q &A. Suggested book: A Life of Picasso, John Richardson. March 20: Becoming Van Gogh 1:30-3pm, Reg# 246298: Vincent van Gogh started as a poverty stricken impressionist, but his paintings became the most valuable canvases in the history of art. The artist may have suffered from mental illness but he never lost touch with reality, which is manifested in his letters and art. He said, “I am not strictly speaking mad, for my mind is absolutely normal in the intervals, and even more so than before. But during the attacks it is terrible – and then I lose consciousness of everything. But that spurs me on to work and to seriousness, as a miner who is always in danger makes haste in what he does.” This one hour documentary, which was nominated for an Oscar, will be followed by Q &A. Suggested book: Dear Theo, The Autobiography of Vincent van Gogh, Irving Stone & Jean Stone. 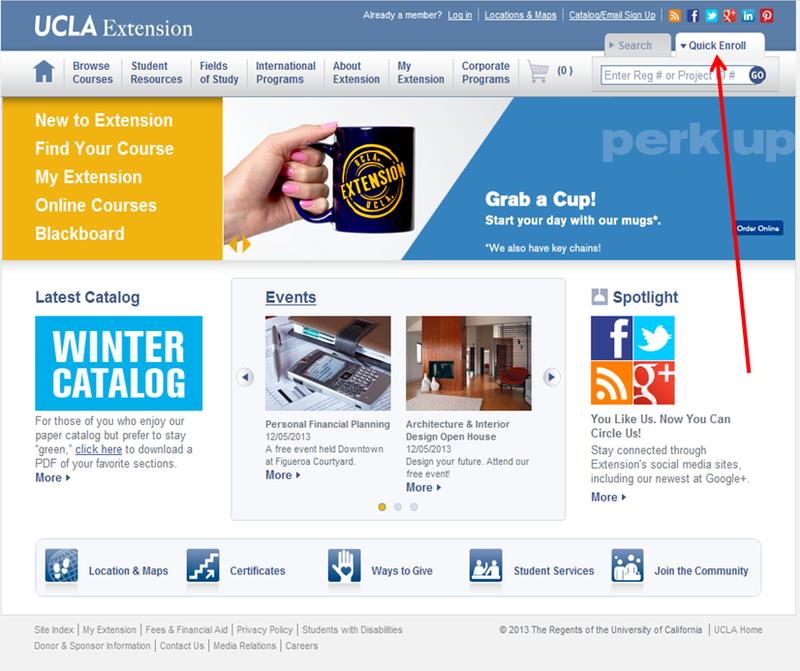 To reserve a spot, please call Registration at 310.825.9971 with the appropriate registration number, click on the course link, or visit www.uclaextension.edu and use the Quick Enroll tab as pictured below. UCLA researchers have found that older adults who regularly used a brain-fitness program on a computer demonstrated significantly improved memory and language skills. The UCLA team studied 69 dementia-free participants, with an average age of 82, who were recruited from retirement communities in Southern California. 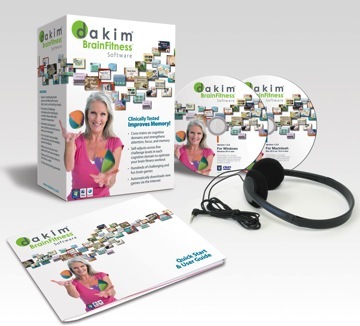 The participants played a computerized brain-fitness program called Dakim BrainFitness, which trains individuals through more than 400 exercises in the areas of short- and long-term memory, language, visual-spatial processing, reasoning and problem-solving, and calculation skills. 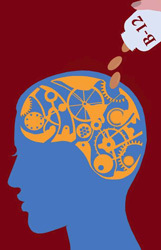 The researchers found that of the 69 participants, the 52 individuals who over a six-month period completed at least 40 sessions (of 20–25 minutes each) on the program showed improvement in both immediate and delayed memory skills, as well as language skills. The findings suggest that older adults who participate in computerized brain training can improve their cognitive skills. The study is published in the July issue of the American Journal of Geriatric Psychiatry. 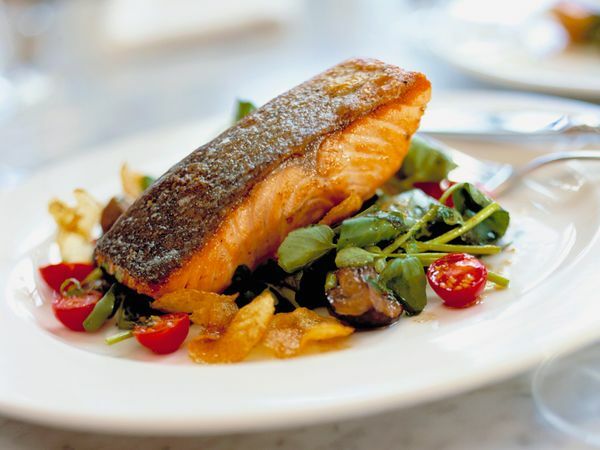 A new UCLA study provides further evidence that eating fish prevents memory loss. A diet lacking in omega-3 fatty acids, which are commonly found in fish, may cause your brain to age faster and lose some of its memory and thinking capabilities. UCLA life scientists have identified a gene that when activated in the intestine of a fruit fly, extend their lives by as much as 50 percent. 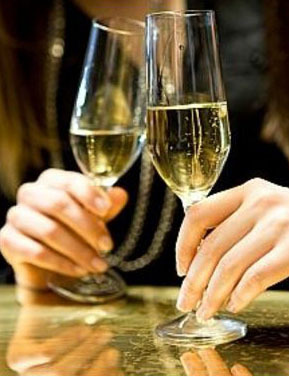 Fruit flies have a life span of about two months. They start showing signs of aging after about one month, and they slow down, become less active and die. They are a great model for studying aging, because scientists know every one of their genes and can switch individual genes on and off. 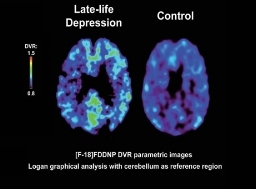 According to a recent UCLA study published in the November issue of the peer-reviewed journal Archives of General Psychiatry, depression in the elderly may be an initial manifestation of progressive neurodegenerative disease.